POLK COUNTY -- The Polk County Sheriff's Office has released the name of the man who died after his vehicle fell through the ice in Polk County. Authorities have identified the male victim as 63-year-old David Maki, from Blaine MN. POLK COUNTY — A male has died after a vehicle he was in reportedly had gone through the ice in the narrows between Balsam Lake and East Balsam, according to a press release from the Polk County Sheriff’s Office. 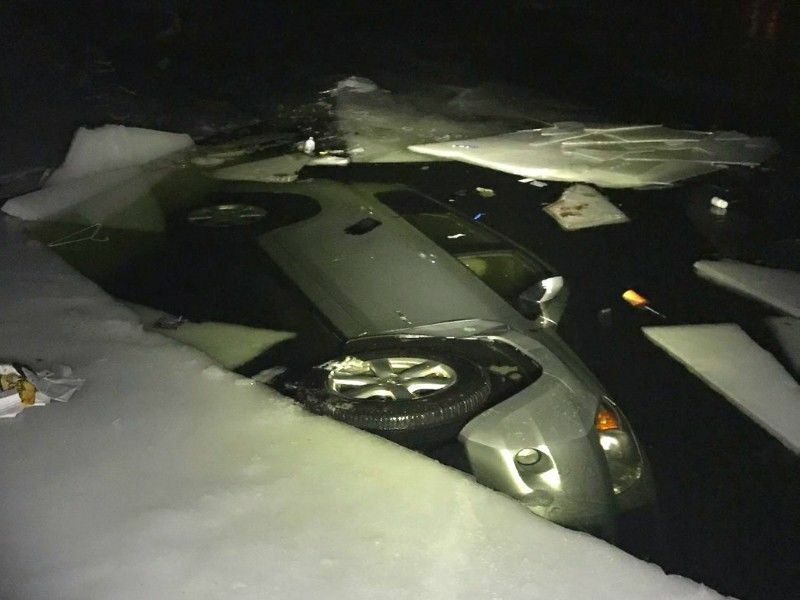 (Press Release) — On the afternoon of Thursday, January 17, 2019 at 1653hrs, the Polk County Sheriff’s Office Dispatch Center received a 911 call that a vehicle had gone through the ice in the narrows between Balsam Lake and East Balsam. The caller advised that they had not seen anyone exit the vehicle. Emergency services and local law enforcement were immediately dispatched to respond to the location. At approximately 1725hrs, a single male occupant was recovered by fire/rescue personnel from a silver Toyota Rav 4 bearing MN license plates which was almost fully submerged. CPR was administered and the subject was transported to the St. Croix Regional Medical Center. A med-flight helicopter had been dispatched; however, hospital staff advised at 1812hrs that the subject had passed away. The subject’s name will be withheld pending notification of family members. This incident remains under investigation by the Polk County Sheriff’s Office and the Polk County Medical Examiner’s Office. More details will be made available at a later time. The agencies assisting in the incident were as follows: Balsam Lake Fire Department and First Responders, Balsam Lake Police Department, Lakes Region EMS, the Polk County Sheriff’s Office and the Polk County Medical Examiner’s Office.